Disney Pixar presents The Good Dinosaur, rolls out to Cinemas across the UK today! Around 66 million years ago, an asteroid was said to have impacted our Earth and wiped out the prehistoric predators and their plant-eating counter-parts that walked this land. What would have happened if said asteroid soared past and missed our tiny little planet? Disney Pixar Studio answers that question with their newest film, ‘The Good Dinosaur’, directed by Peter Sohn and created by his team of Animation geniuses, together they recreate a world where dinosaurs are still the top of the food chain, evolution gifting them ability to talk, craft homes and shelter, and ultimately dominate the world that should have been owned by humans. The story is centered around a loving Apatosaurus, Arlo, and his Neanderthal friend, Spot. They come together after tragic circumstances have Arlo tumbling down a ravenous river sweeping him far away from his beloved family. Stranded alone in the wilderness, Arlo meets Spot, a feral human child living in a cave with no speech capabilities who only communicates with grunts and howls, together they start out on an unforgettable journey of self-discovery to find Arlo’s lost family. 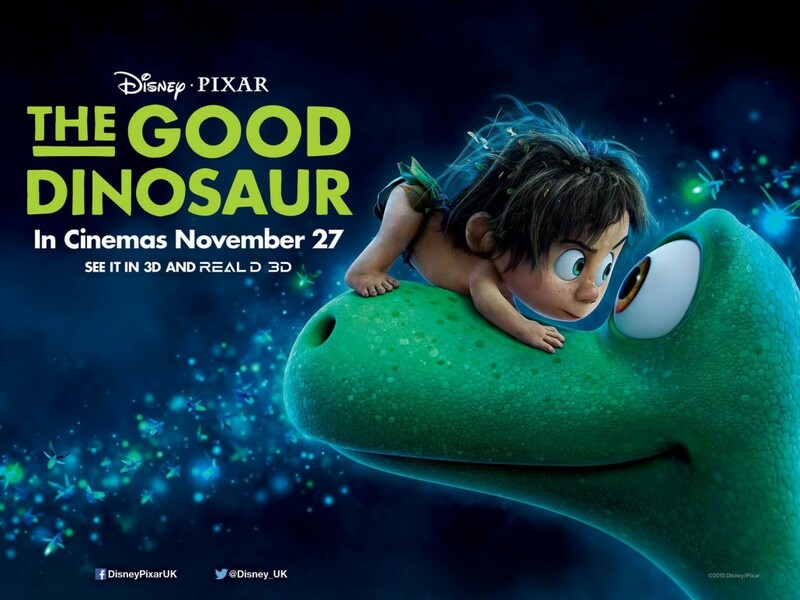 ‘The Good Dinosaur’ is on general release from the 27th of November over the UK, and is out in a local cinema near you.